1Goodenow C, Espin OM. 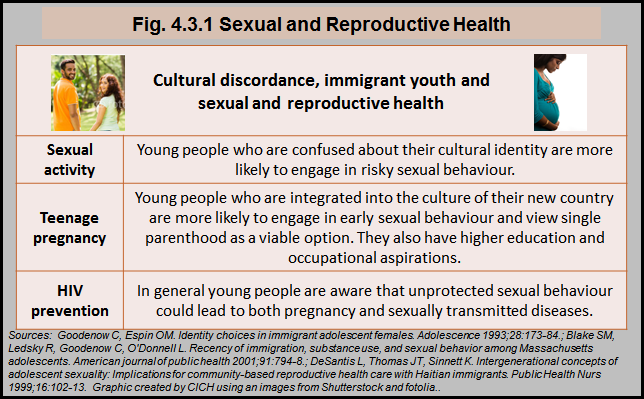 Identity choices in immigrant adolescent females. Adolescence 1993;28:173-84. 2Blake SM, Ledsky R, Goodenow C, O’Donnell L. Recency of immigration, substance use, and sexual behavior among Massachusetts adolescents. American journal of public health 2001;91:794-8. 3DeSantis L, Thomas JT, Sinnett K. Intergenerational concepts of adolescent sexuality: Implications for community-based reproductive health care with Haitian immigrants. Public Health Nurs 1999;16:102-13.